Welcome.You've reached the home of the. Very few people are privaledged to have seen the inner workings of the Outsiders's Lair. Known Only as the "Thirteenth Floor" it could be anywhere. A suit at the Howard Johnson Lodge? Perhaps it is invisible to the naked eye. 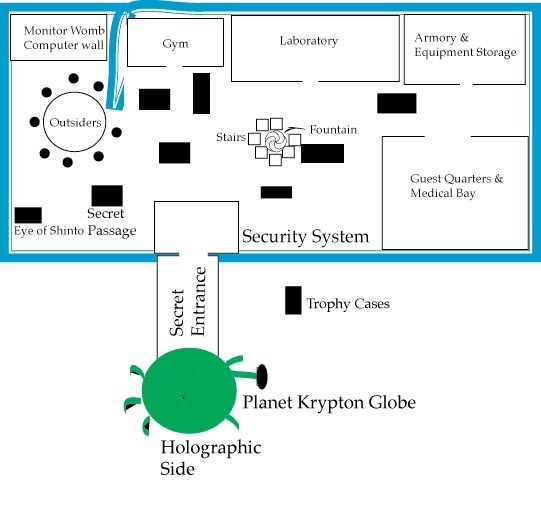 The "Thirteenth Floor" is rumored to have a vast communication network, nearly rivaling that of the Watch Tower. 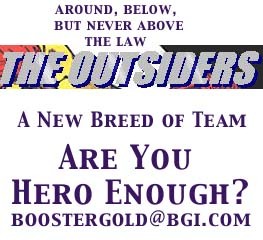 Perhaps the Outsiders really don't have a headquarters. Or do they?